The three generations of Rio neatly mark Kia's progress as a car manufacturer. The Mk1 of 2001 was above all cheap. For the price of a supermini it gave you a car half a size bigger but its looks and average driving dynamics were never going to set your pulse racing. 2005's Mk2 is a more conventional supermini that does most things quite well. Its styling is tidy if a little anonymous, its ride and handling is good if not class leading and the interior is comfortable but plasticky. 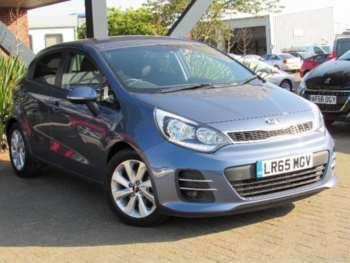 With the Mk3 from 2011 the Kia Rio became a strong contender. It's a car you can park alongside a Fiesta or a Polo without worrying that you might have bought second best. 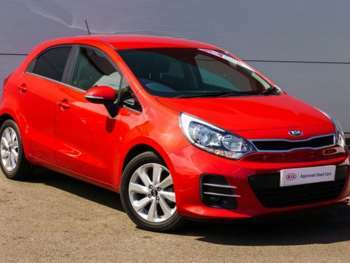 The Mk1 Kia Rio came with 1.3-litre petrol engines plus a 1.5 that was dropped in 2004. The Mk2 Kia Rio had either 1.4 16-valve petrol or 1.5 turbo diesel models plus a 1.6 petrol that only appeared in the Sport model. 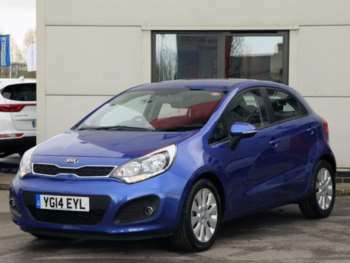 The Mk3 Kia Rio has 1.25 and 1.4-litre petrol engines – the latter available as an automatic – plus 1.1 and 1.4 diesels. A three-door Rio became available for the first time in 2012. The Rio Mk1 came in L and LX trim as a 1.3 and SE as a 1.5, run out models in 2005 switched to LE and LE+ designations. 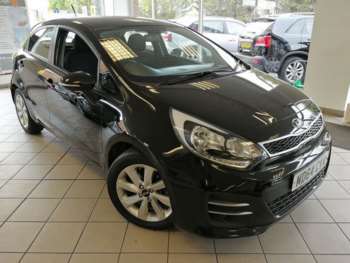 The Mk2 Kia Rio for sale was launched in GS or LS trim, the latter adding alloys, electric windows and front fog lights. In 2009 a facelift gave the car Kia's corporate 'tiger nose' grille and 7-year warranty. At the same time it received the 1 and 2 trim in line with the rest of the range. 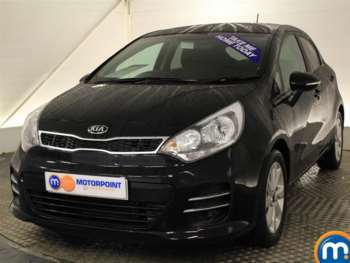 There have been numerous limited editions from the Chill (with air con, naturally) Black, Graphite, Domino and Sport (with sunroof, climate control and 16-inch alloys). The Mk3 comes as 1, 1 Air, 2 and 3 trims, the latter with 17-inch alloys, UV reducing glass, reversing sensors, automatic air con and rain sensing wipers. Kia's EcoDynamic stop/start system is available on some models. 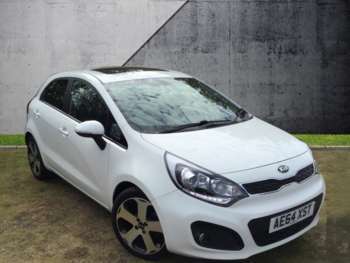 Kia Rio Mk1 cars for sale are mostly below £1,000 but you might stretch to £1,600 for a low mileage 2004 car. Mk2s start from £2,000 for a 55 plate 1.4 petrol, a post-facelift car on a 59 plate and with the balance of its 7-year warranty will be around £5,000 with a diesel fetching up to £1,000 more. 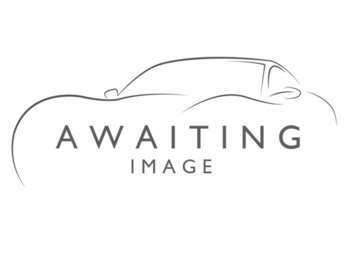 A late model 11 plate diesel will be around £7,500. 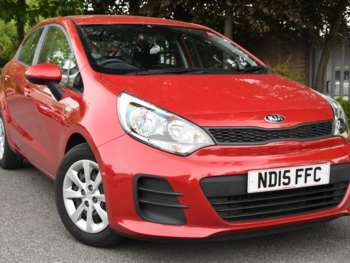 Rio Mk2 Diesels qualify for £35 a year VED. 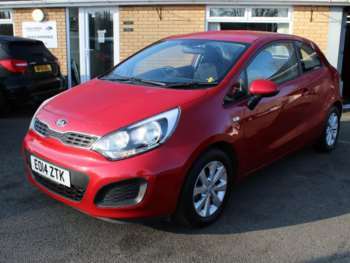 Mk3 cars are still mostly within the Kia dealer network, expect to pay around £10,000 for a 1.25 petrol Rio 2 5-door. A Rio 1 1.1 diesel with EcoDynamic starts from around £11,000. Engines on most Rios are strong chain cam units and give little cause for complaint. Check Mk1s carefully for rust and look for damaged and rattly interior trim. Early Mk2s suffered from uneven front tyre wear so check the inside edges of the tread carefully and again look for scuffed and damaged trim. There are few reported problems with Mk3s so far. 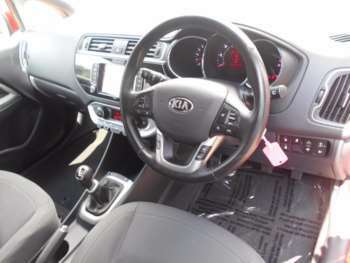 Kia parts are well priced, based on a Mk2 a clutch is around £140, an alternator £120 and a starter motor £110. Front brake pads will be around £40. The Mk1 will get you from A to B but is a pretty uninspiring experience. It's a car that does the job and if that's what you want then it's a bargain buy. The Mk2 is much better to drive with suspension that's firm though not uncomfortable and not much body roll. 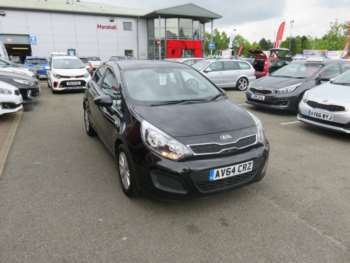 The 1.4 petrol offers good performance but the 1.5 CRDi is a popular choice, it has plenty of mid-range punch to keep up with fast motorway traffic and you can manage 50+ mpg. Inside the seats are comfortable and controls are nicely to hand but the dash is a relentless sea of grey plastic. 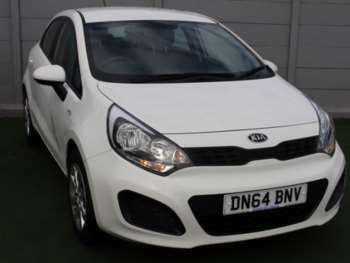 The Kia Rio Mk2 is a nicer car than you might expect for the money and won't let you down. Mk3 cars have light controls and a slick six-speed gearbox, the Rio may not be top of the class dynamically but it rides and handles well and high gearing means it's smooth and quiet on the motorway. ABS and electronic stability control keep you out of trouble. Inside the Mk3 is a big leap forward with quality trim and some nice touches like power sockets and a USB connection for your MP3 player. 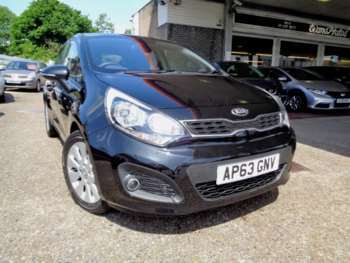 Got a specific Kia Rio model in mind?